This section of the site outlines some general frequently asked questions and answers on travel to South America and Knowmad trips. For country specific FAQs on travel planning, pre-departure information, pack lists and more visit our sections on Ecuador, Peru and Chile. For post-trip resources visit this page. Have a question about Ecuador? Deciding on which Galapagos cruise boat is best for you? Wondering if you need any vaccinations to travel to Ecuador? Find answers to these questions and more in the Ecuador FAQs section. Have a question about Peru? 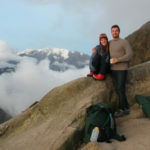 Need to know how to get an Inca Trail permit? Or what time of year is best for visiting Machu Picchu? Find answers to these questions and more in the Peru FAQs section. Have a question about Chile? Wondering what to pack for a trip to Patagonia? Or how much a Chilean peso is worth in dollars? Find answers to these questions and more in the Chile FAQs section. What is the travel planning process? The process is easy. First is a quick call or email exchange that allows us to learn a bit about you and your group (custom trips can be for one or many people). If you have a general idea of where you want to visit that’s great, or if you don’t know when or where you’d like to travel we will discuss options. We will learn about how physically active you want to be, how long you may travel, what activities interest you most, and some general info about your travel style and preferences. With this information we create a ‘skeleton’ or bare-bones trip flow or two that we send for you to look over, or we suggest a sample itinerary. After sharing with your travel partners we can collaborate on changes, or you may like the general outline of the trip. From there we will create a detailed custom trip proposal with all suggested activities and lodging provided, as well as exact costing and inclusions. We can collaborate on any desired changes, or you may choose to confirm your trip. This process and detailed custom proposal is free and there is no obligation to confirm your trip. We are the leader in custom travel to South America, and not only is this process easy, but it results in you having your perfect trip, one that is as dynamic and unique as you are. How much do Knowmad trips cost? Knowmad Adventures guarantees that you will not find a similar trip with an equal level of included services at a better price. If you do find a less expensive trip with equal services, we will refund the difference. As the leading provider of custom trips in South America, we work with a variety of travelers and travel agents throughout the globe, and have the operations and expertise to build trips for a variety of travel styles and budgets. Does Knowmad build custom trips? Yes, our business is founded on custom travel. In short, we are experts in the areas in which we offer trips. There’s nothing we enjoy more than building a no-obligations, comprehensive custom trip itinerary perfect for your interests, accommodations preferences, budget, etc. We’re also happy to revise the itinerary until it’s perfect for you. Our sample trips online and in our catalog are great itineraries meant to provide ideas and building blocks. Want a different style hotel? Love to bike but don’t see it in a trip that interests you? See an itinerary you like but it’s too long? Have you already sketched out an itinerary but want someone to provide top-quality guides, transportation, excursions, and operate it seamlessly? Give us a call and we’ll be happy to offer feedback and build the perfect trip for you and your group. Do you have private or small group trips? We specialize in private trips, setting up custom itineraries based on your dates, interests and budget. 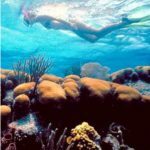 We also have some trips that are offered for specific dates in which you can join a group. These include Inca Trail treks, our Futaleufú Whitewater and Multisport trip, Choquequirao treks and the Machu Picchu Lodge Hike. Please inquire for dates and availability. We select our exceptional local guides based on knowledge, charisma, experience, and passion for their homeland. They are fluent in English and Spanish and often hold advanced degrees in tourism, anthropology, biology, history or other related fields. In addition to custom trips which can be tailored to how physically active you’d like to be, our Classic Knowmad itineraries are rated as light, moderate or vigorous. LIGHT Trips suitable for nearly all ages and ability levels. Walks are generally short and on flat terrain. MODERATE More active trips that may feature hiking at elevation, kayaking, horseback riding and more. Suitable for most people in good health, these trips may also venture into remote territory and more rugged terrain. VIGOROUS These trips typically require very good physical condition or pre-existing skills. Expect to be in challenging terrain for long durations. Do you book airfare and is it included in the trip cost? Knowmad Adventures does not purchase nor sell airfare. We are here to help you with the process, but ultimately it is your responsibility to purchase flights. We recommend that you purchase flights through flight provider Exito Travel to help make sure that the flights align with your itinerary and are purchased with reputable airlines. Often the best value and most efficient process is that Exito Travel quote your international and regional flights together (this also aids in reducing the risk that flight changes do not negatively impact subsequent flights). Who travels on your trips? 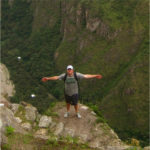 Knowmad specializes in custom trips to South America and has extensive knowledge and operations throughout the continent. Because of this we can cater to a wide range of ages, nationalities, interests, etc. Our travel community attracts fun, interested, and open-minded people excited to experience their world. Most are North Americans and Europeans ranging from 20 to 80. Of course not! We can customize an itinerary appropriate for any age, and there’s nothing we love more than multiple generation family trips. When you are in areas without restaurant options meals are included. Often when in cities and areas with choices, we do not include meals or associated costs so that you may choose. Of course we always provide restaurant recommendations for our favorites. All custom trip proposals clearly indicate which meals will be provided and which will not. Again, we specialize in private, custom travel and have extensive knowledge and discounted rates at 5 star luxury properties as well as offering homestays with indigenous communities. Our preferred properties and those listed as included properties in our sample itineraries range from 3 to 4 star, and generally are locally owned boutique hotels, guesthouses, and adventure lodges. With advance notice we can accommodate most any dietary restriction. The best way is to simply give us a call to talk about your trip ideas. We’ll share ideas, options, and talk travel. Before you know it we’ll have a roadmap or ‘skeleton itinerary’ laid out, and from there will build you a detailed trip proposal that can be revised if it’s not exactly what you’re looking for. Booking is just the beginning; you’ll receive comprehensive pre-departure documentation and have direct access to your Trip Specialist throughout. When’s the best time to visit South America? The answer to this question varies from country to country and even region to region, but as a general rule of thumb the seasons in South America are reversed from those north of the equator. During the U.S. and Europe’s winter, it’s summer in Patagonia and generally the best time to visit the central (including Buenos Aires, Santiago, wine country, and the coast) and southern parts of the continent in Chile & Argentina. 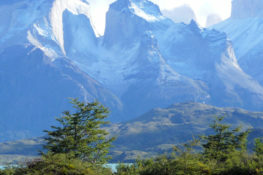 Visiting the altiplano and northern desert regions of Chile or Argentina is fine year round, as well as Iguazu falls. North America and Europe’s summer is a great time to visit Peru and Ecuador, as it is the drier time of year there. Spring and fall are also great as precipitation levels will still be low and there will be less visitors. The rainy season is less pronounced in Ecuador and it is suitable year round, as is the Galapagos. For more in-depth country specific information on weather and when to go, visit our FAQs sections on Ecuador, Peru, and Chile. What’s the best way to get money and pay for things in South America? Generally it is best to arrive with at least $100 crisp American dollars per person. If you would like to order local currency from your bank ahead of time, that is helpful but you will pay a fee. In most South American countries there are abundant ATMs that will accept Visa or Cirrus affiliated cards, and will distribute local currency at the best exchange rate. If you contact your bank ahead of time they may refund or waive the international ATM fee, generally around $5 USD. Bring two cash cards if you can. Credit cards are often accepted at nice restaurants and shops. Cabs and markets may accept U.S. dollars, but we recommend only having greenbacks as backup funds. Each country within South America is different. Many use 220-volt electricity, which is different from the U.S. This means a converter is necessary. Some also use different plug types which adapters are needed for. It is best to consult the country specific FAQs page for the countries in which you are traveling. Can I drink the water in South America? Generally it is suggested you do not drink the tap water in South America. In Chile, locals do drink the tap water, which is generally safe, however has a higher mineral content than you may be used to causing upset stomachs. On the other hand in Peru for example, most locals do not drink the water and without question you should not either. What should I pack for my trip to South America? Beyond open eyes, mind, and your sense of adventure it’s entirely up to you, but for advice and guidelines based on weather, local customs, and activity specifics, please visit the country specific FAQs page where you are traveling. Can I use my cell phone in South America? Check with your cell phone provider. Each company is different and they can give you the most up-to-date information, although generally charges will be high. Many smart phones or tablets can be put on airplane mode to avoid roaming charges, and can then use hotel wi-fi signals to access internet and email. What is the best way to communicate with people back home while in South America? Most hotels have computers and wi-fi internet available. In addition to email, these can also be used for inexpensive internet phone service programs such as Skype if you need to be in contact by phone. How much should I budget for a South American trip beyond the cost of the trip and international airfare? This depends greatly on the person and what your trip was built to include in advance. Generally meals and daily expenditures in most South American countries are a bit less than in the U.S. and Europe, however that does not apply to international class restaurants or luxury hotels. For more information about budgeting for your trip outside of pre-booked arrangements, please consult with your Knowmad Trip Specialist. How much should I tip while on my trip in South America? Did you just get back from a Knowmad trip to South America and you’d like to tell us about it? Share your photos and more here.